Lauren Kelly, Janine Cirincione, Cecile Panzieri, and Thomas Kelly. Photo courtesy Sean Kelly, New York. 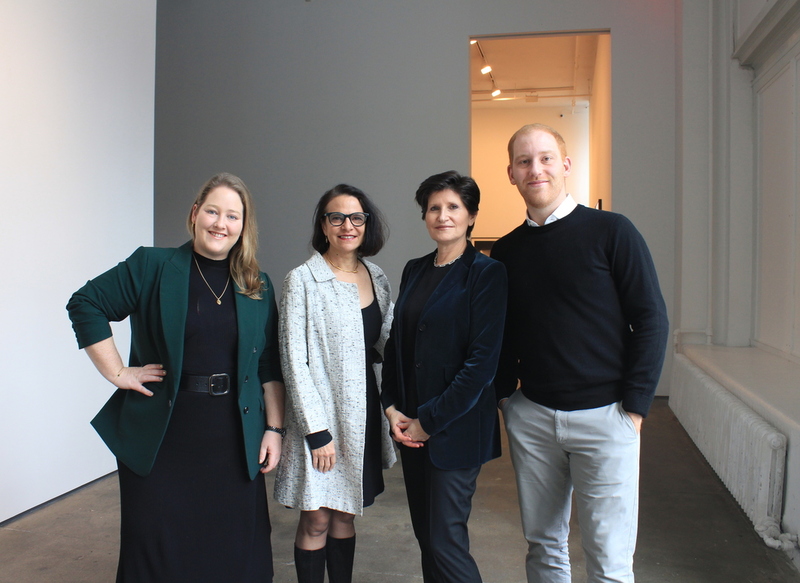 Sean Kelly gallery announced today that four senior members of its management teamJanine Cirincione, Lauren Kelly, Thomas Kelly, and Cecile Panzierihave been made partners. Panzieri, who has served as a director at the gallery for tweny years, has been named senior partner. Prior to joining the company, Panzieri worked as associate director at Galerie Lelong in New York for nine years, from 1990 to 1999. Founded in 1991 and operated privately in the SoHo neighborhood of Manhattan until 1995, the gallery is now located in a twenty-two-thousand-square-foot space at 475 Tenth Avenue. Later this month, Sean Kelly will open a new project space in Taipei. The event will coincide with the launch of the inaugural Taipei Dangdai fair, taking place at the Taipei Nangang Exhibition Center from January 18 to January 20. Gladys Lin will head the new venue.